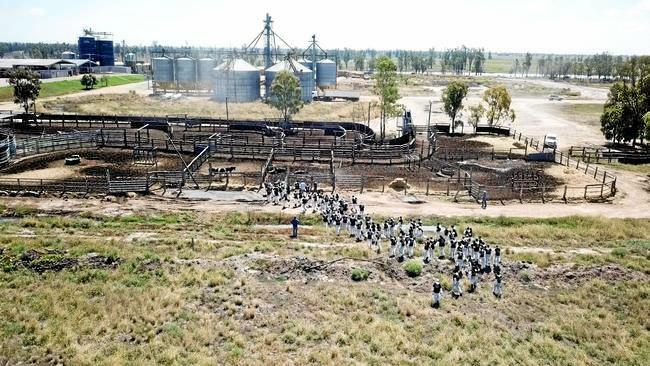 MANY silver linings have come out of the devastating Woolooga bushfires, but one local legend's tireless efforts to help his community just might be the most heart-warming. 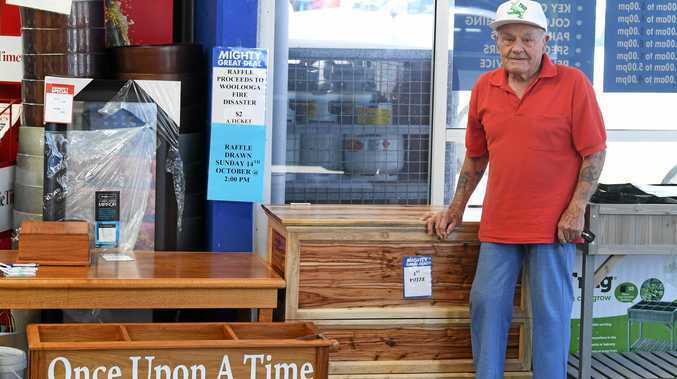 Just months after going through a knee replacement, 86-year-old Widgee resident Ted Senior decided to put his expert woodwork and craftsmanship skills toward raising money for all victims when he heard of his friends' ordeals throughout the week-long disaster. 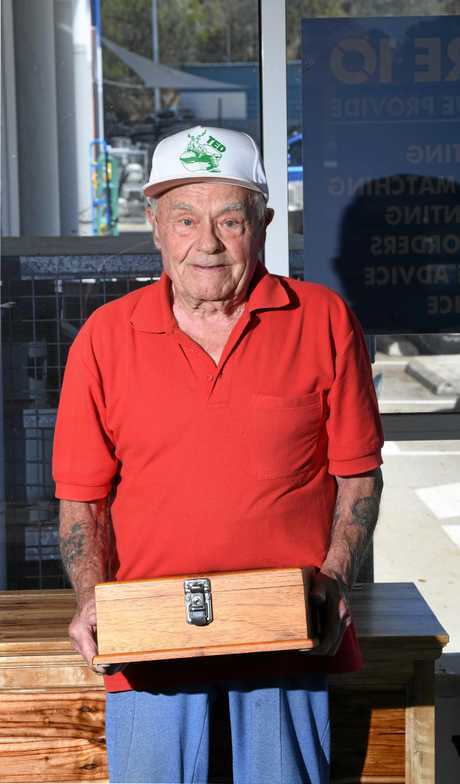 Selling raffle tickets at the local Mitre 10 store on Langdon Rd for $2 each, Mr Senior said he was hoping to hit a lofty milestone by the time the winners were drawn this Sunday afternoon. "A couple of my mates were caught up in the disaster so I wanted to do something for them. I've made a chest of drawers, a table and something for a kid's room, where they could keep their paintings or their toys,” Mr Senior said. "I'm 86 now so this keeps me going all the time, I'm still making things and still loving it but I'm selling tickets in here at the moment so I'm not actually working like I'm meant to be. "Up to now I've sold about 1300 tickets, every bit is going to the Woolooga fire. Mr Senior said there was an intricate process behind carefully crafting each of his creations. He said his latest venture was an extension of the work he had already been doing with other community groups. "The box alone was about three weeks' work, the table was only about 8-9 hours but then you have to put three or four coats on it and you can only put one on per day,” he said. "I do this for a hell of a lot of people, I do it for Meals on Wheels, I do it for biggest cup of tea, Angel Flight, lots of different stuff for lots of different people. Mr Senior's raffle ends at 2pm today. Visit Mitre 10 on Langdon Rd to buy a ticket.